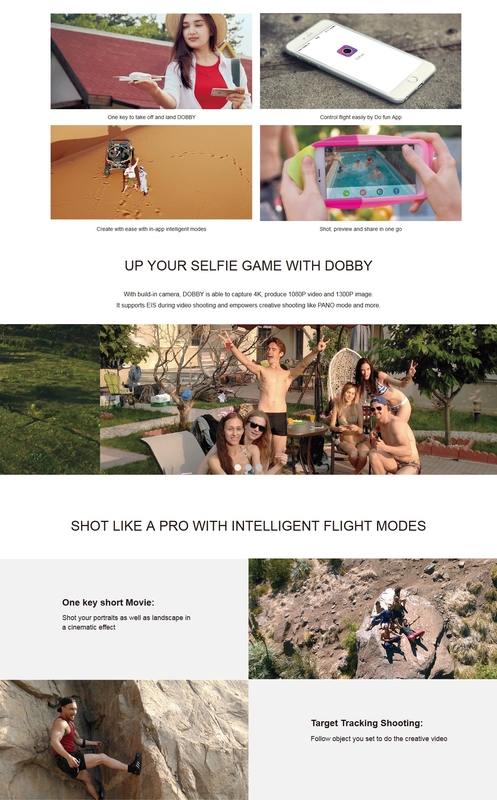 Zerotech DOBBY Pocket Drone 13MP 4K is a drone that can fit right into your pocket. It features 4K resolution video recording and a 13MP camera to capture great quality photos, target tracking and gesture control. Due to it's light weight, it doesn't need to be registered. 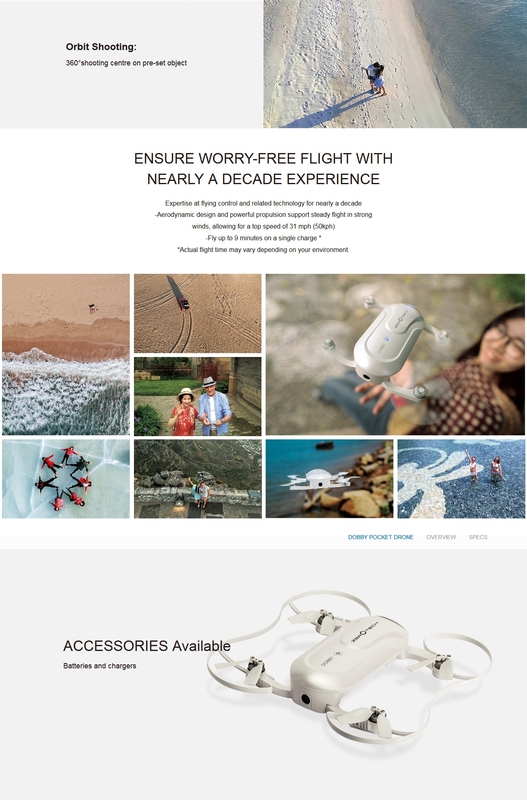 With the features and lightweight, compact design, it is the perfect drone for taking selfies and photos on the go.